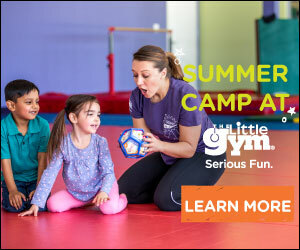 Day camp at The Little Gym of Lexington East gives your kid the summer camp experience without the bug bites, poison ivy and week-long commitments. Camps are for ages 3-10 years old and are held Monday, Wednesday, and Friday 9am-12pm. Combining fun physical activity, games, and arts & crafts, we’ll help your child beat the summer heat by staying cool at The Little Gym.